I know you are eager for a solution, so let’s get to it and after that I will make some remarks and analysis. 1) In your savant folder, find the php file named as “Savant3.php“. Currently, on the date of this post, the savant home page notifies its users of this potential issue. They claim to have fixed it and thus provided a modified version Savant 3.0.1. BUT this version does not seem to be available for download till now. I believe it might have been a confusion from either Paul or Brett, and they have somehow mixed the version Savant 3.0.0 with the Savant 3.0.1. Anyhow, I hope they fix it soon. What’s Up With The __tostring() Issue? 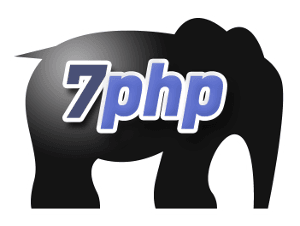 With PHP 5.3, the magic method __tostring() no more accepts any parameter. Hi Brett, I’ve checked it, the changes are there. Thanks for the update. I started using Savant a few weeks ago and had not suffered this error until I was working on a laptop with Xampp. Then the error appeared. I found your article. Downloaded the revised Savant… The problem remained. I applied your manual fixes to the latest Savant3.php and the problem was fixed. Uhhmm!!! Thanks for your help. Is this even announced in the changelog? I searched for “__toString” but couldn’t find this. I’ve searched the changelog, yes it seems like they did not even announced it..
which also does not state that unfortunately.. If you (or anyone) finds more about it, let us know. Igor, you are joking right? Your suggestion is wrong, the code is testing if $tpl is null, then set the config.